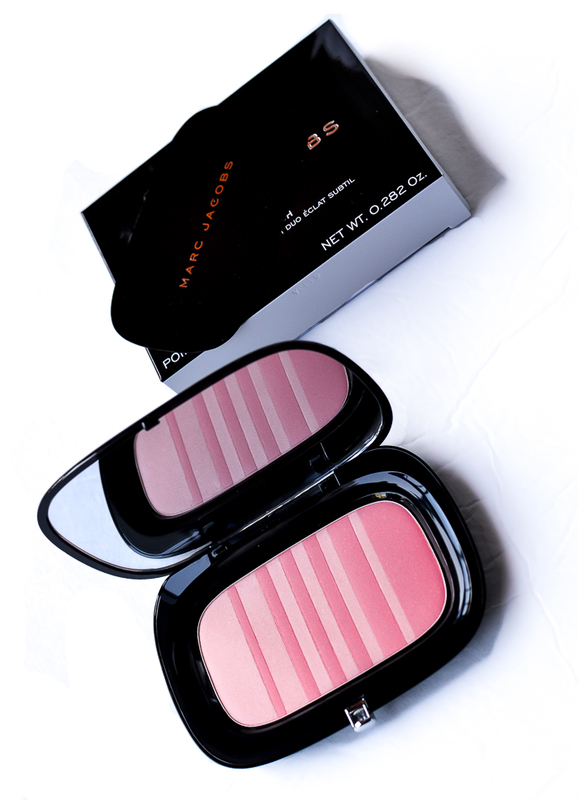 The blush comes packaged in a large, flat compact with a generous-sized mirror included. The product itself features alternating stripes of the lighter and the darker color, and to use, you can pick either of these colors individually or swirl the brush all over and pick up a soft mix of the two shades. Kink and Kisses combines pale pink and a soft peachy pink shade, and it's the sort of color that would work for a lot of skin tones as a very natural-looking flush of color. Use the darker shade for a more contoured sort of application and the lighter shade to blend along the cheek bone to give a more radiant, blended color. 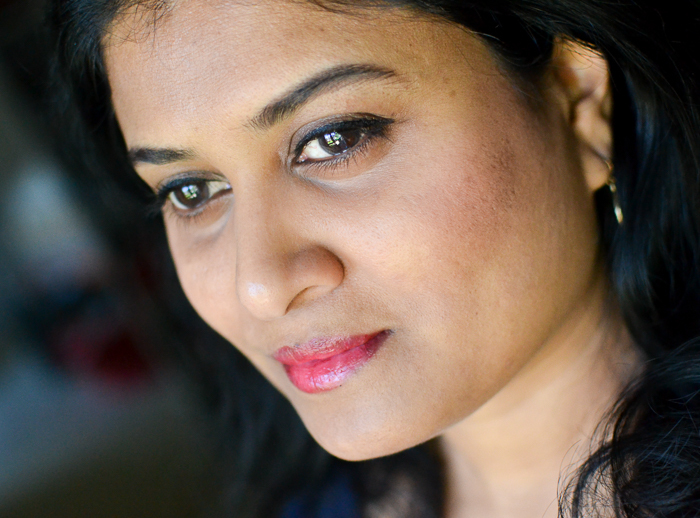 The satiny finish gives a slight sheen rather than any shimmer or glitter so it's a very natural, subtle flush. 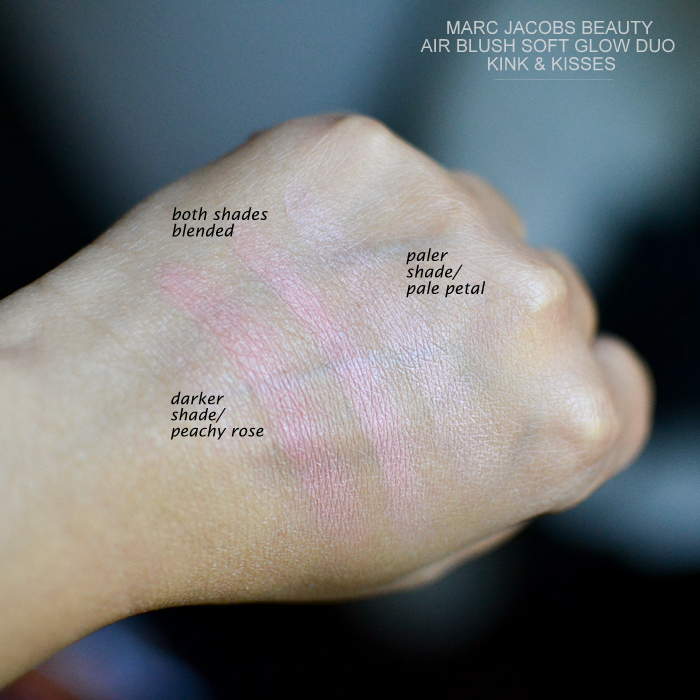 Kink and Kisses shows up as a soft pink flush on my cheeks, andif I needed something that shows up bolder on my medium deep skin tone, Night Fever and Hot Stuff (cherry/deep plum blush) would be a better shade. 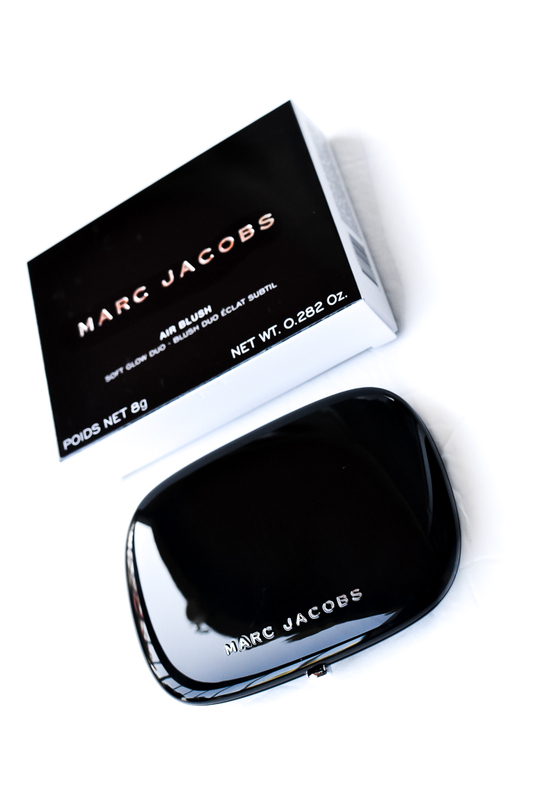 The Marc Jacobs Air Blush is quite easy to apply and blend, though I think the color shows up better with a synthetic brush (Real Techniques brush deposited the color better than my Suqqu). My favorite way of applying the blush so far has been to use the darker shade just below the cheek bone and blend out the edges using the lighter shade. 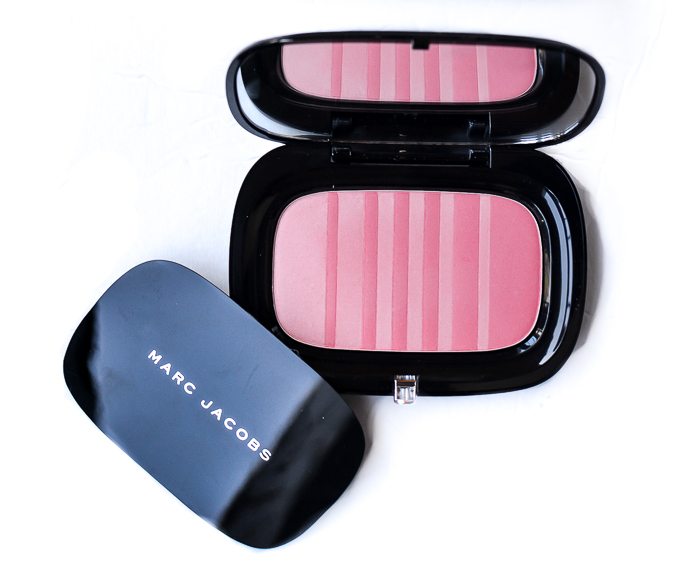 Overall I think the Marc Jacobs Air Blush is best for those who like a more natural flush of color rather than a strong pop. Links provided in the post are for information only and are NOT affiliate/sponsored links. Product featured in this post was provided by Influenster for testing and review.